The 2016 Bazaar After Dark. Photo by Kim Thiel/River+Bay. 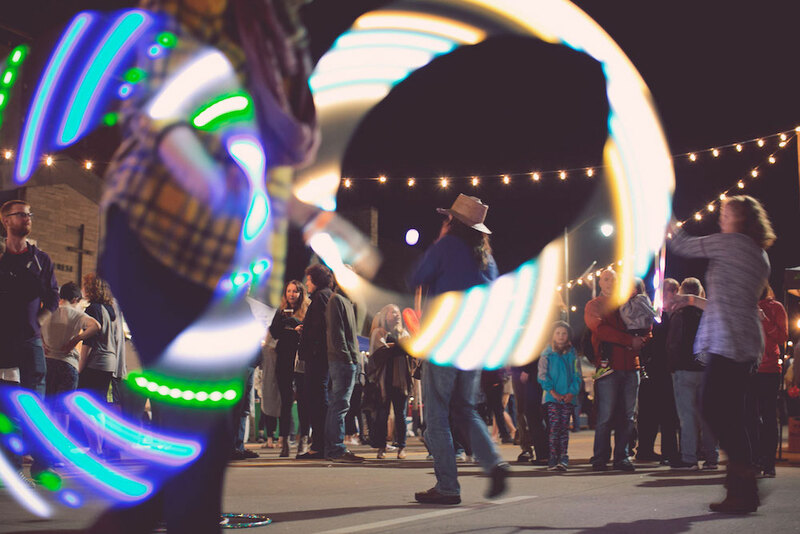 KAUKAUNA — Bazaar After Dark, a program of Pulse Young Professionals Network, will kick off the season April 29, 2017 in Kaukauna. The festival is the first of three planned this year in the Fox Cities. Planners currently are seeking proposals for a downtown mural, tentatively planned for the Carrot Project building and possibly others, as well as vendors to participate. An application for mural proposals is HERE. The deadline to apply is March 15, 2017. The public mural component of the night market is a way of visually demonstrating our commitment to the renewal and growth of each neighborhood, in hopes that the community will join us in investing in its prosperity. Funding for the mural will be obtained through sponsorships secured by Pulse. There will be a minimum payment of $2,500 to the artist, according to the group’s website, with additional funding likely, but dependent upon the necessary supplies, building cleaning/preparation, and other associated costs of the project. Preparatory work can be done in advance, but finishing work will be done during the market as a live piece of performance art. Artists should submit a narrative and design illustrating their concept and include supplemental information such as medium, sketches, and approximate dimensions of the proposed mural. Supporting materials including images of previous works are strongly encouraged. A vendor application is HERE. Businesses located in downtown Kaukauna are exempt from the $40 vendor fee and will be given first priority to participate when applying.